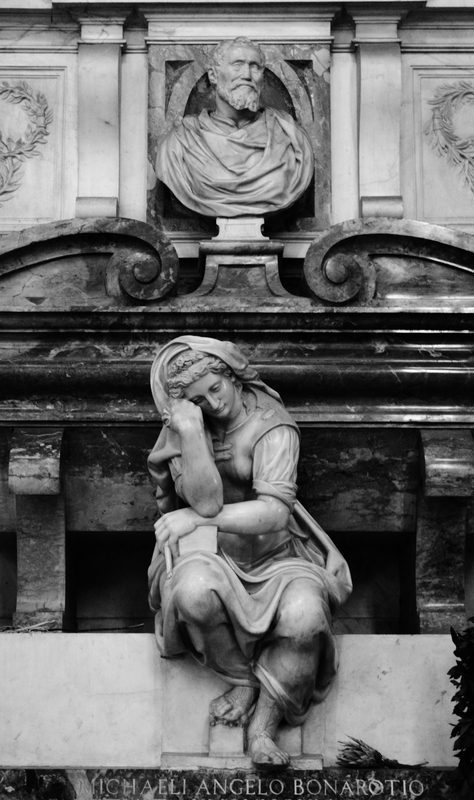 The tomb of Michelangelo Buonarroti can be found in the Basilica of Santa Croce in Florence, Italy. Realised by Vasari in 1570, the tomb includes three marble sculptures representing the personifications of Painting, Sculpture and Architecture, saddened by the death of the great master. It is Sculpture however, that is most distraught to have lost such a genius. Wow cool stuff! Really amazing to see. You’ve got my follow. Check out my comedy blog and give it a follow if you like it!